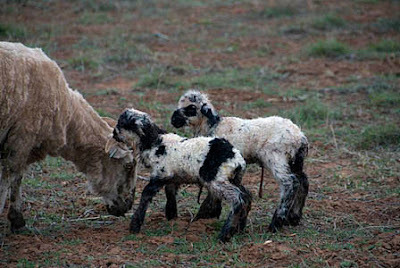 The Sheep Whisperer: "Top Ten" Animal Dads 2! 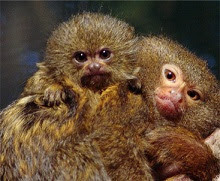 My next choice of a "Top Ten" Dad in the animal world is the Marmoset Monkey of South America. 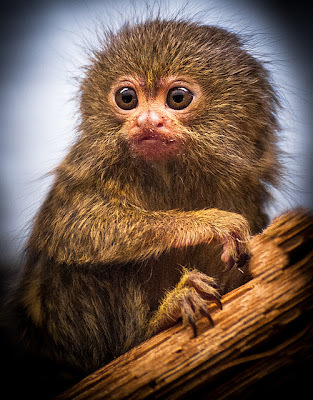 Marmoset Dads are the leaders of their very "social" troops, & take an extremely active role in child rearing. 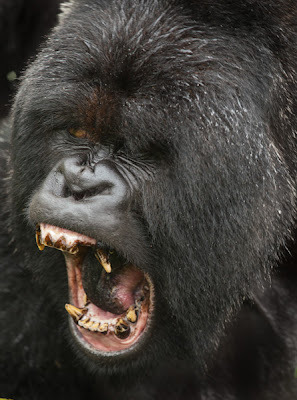 As a matter of fact, they act as midwives during the birthing event & even bite off the umbilical chord, clean up the afterbirth, & wash up the babies .YUCK! Dads continue caring for the babies by carrying the babies on their backs & returning them every 2 or 3 hours for breast feeding. 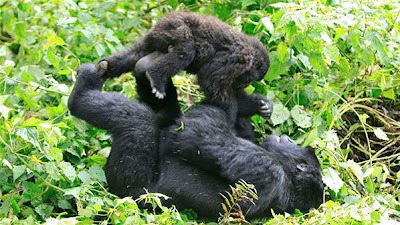 Dads also secure the help of others in the troop, to assist the Moms in raising their babies. Wow! I don't "Monkey" around when it comes to being a DAD! 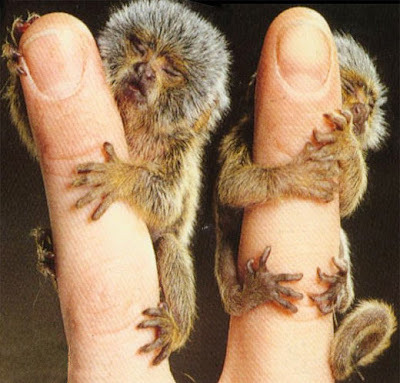 Did Ewe have to "Point" out how small the pygmy marmoset is? My kids like "hanging-out" on my back! 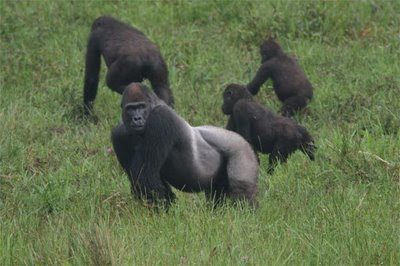 Family is important to the Silverback Dad! I love to play with my kids! Ewe don't want to challenge my leadership! 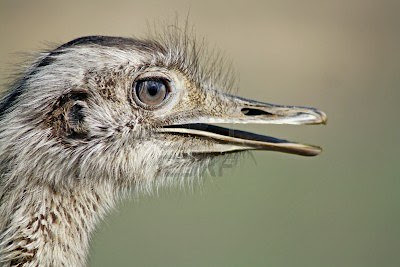 Rheas are my next candidates for my "Top Ten" list of animal Dads! 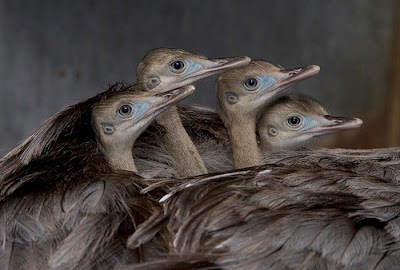 Rheas are ostrich-like, flightless birds from South America, that gather in groups of 30, & are considered the largest birds in the "New World"! The Rhea Dad starts his quest for fatherhood by bellowing a loud call, to notify the females, that he's ready to fight other males for the right to mate. After he emerges victorious, he will mate with 2 or more females. The females will lay about a dozen "golden" eggs apiece in a shallow nest in the ground. The male then takes over by incubating the eggs & caring for the young, which may be as many as 50 eggs at a time!For this display of sheer dedication, Rhea Dads are one of the best! By the way, The word on the street is that Rheas make better fathers than husbands. Thank Ewe so much for Ewer nomination as a "Top Ten" Dad! We all vote for Dad! He's the Best! I can't fly but I sure can take care of our Chicks! Don't worry little Lambs! 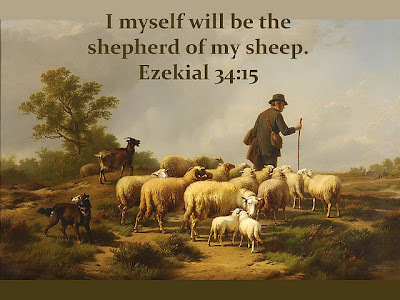 Ewe can count on me & the Shepherd to care for Ewe! Ewe have nothing to fear! I will protect Ewe! As we continue to honor Dads & their importance to the family, let's give honor to our Heavenly Father for the wonderful care He gives to us each day!